Review: "Morse, Tim: Transformation" - Sea of Tranquility - The Web Destination for Progressive Music! A phrase like that is usually reserved for "rocker turns actor" or "actor turns author." 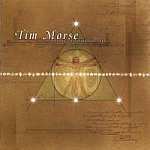 But Tim Morse, who wrote the books Yesstories and Classic Rock Stories, has released his debut album that � surprise, surprise! � often sounds like a combination of Yes and classic rock. The keyboardist teamed with multi-instrumentalist/producer Mark Dean and singer Richie Zeller to create Transformation, and then he turned to the subjects of Yesstories to help promote the music. Press materials for Transformation include favorable blurbs from former Yes men Bill Bruford, Peter Banks and Patrick Moraz. And although Yes is the most obvious comparison, elements of Dream Theater, Genesis and Spock's Beard can be heard here, too, along with a dash of Gregorian chant tossed in for fun. Two years in the making, Transformation deftly bridges classic and modern prog. Plus, it's a concept album, with lyrics illustrating a series of events that ultimately transform an individual's life. The nine tracks here range in length from three minutes to 16 minutes and prove that Morse pays attention to (and absorbs) the music he writes about. Opener "Present Moment" sounds like a Chris Squire-sung Yes song, while "To Set Sail" and the Morse-sung "Temptation" rock in a modern prog sort of way. The instrumental "Prelude" offers some of the album's prettiest moments, segueing to "Goodbye," a powerful and melodic ballad that flirts with the mainstream and highlights the strong voice of Zeller (who should be able to find more steady work as a result of his performance here). Only near album's end, on the 16-minute epic "Apocalyptic Visions" (which lacks the structure of Transformation's other songs) and the ambient closer "Ascension" (which comes too close to Klaus Schulze's solo work for its own good), does Morse begin to stumble. Still, as a music journalist myself, if I released a record as quirkily charming as this, I think I would probably be pleased with myself for the rest of my life.